This electric fencing insulator is very important for permanent electric fence gateways because it allows the power to flow through the gate way and in to the electric fence on the other side of the gate. 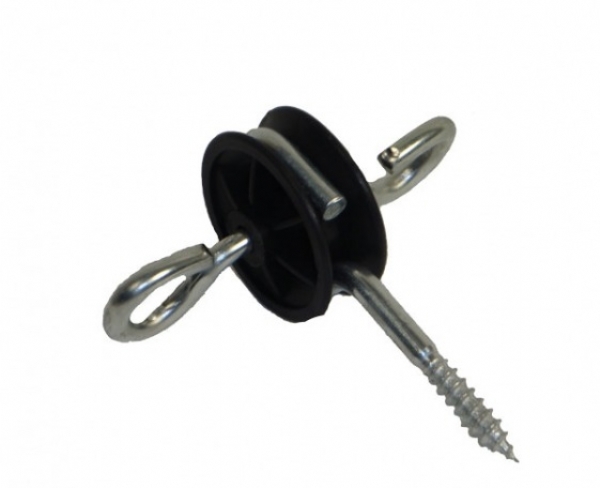 Screws in to wooden posts and provides a solid loop to hook the gate handle on to. On the other loop the electric fencing is attached so the fence can carry on past the gate. Comes in singles, packet of 5 or packet of 10.